Beyond Web to Print. New functions expand the definition of W2P and offer incentives for adoption..
Today’s Web to print (W2P) software redefines the term and what it encompasses. It expands past job submission and into automation, integration, and sales and marketing. “It is hard to remove a familiar term like W2P in the market, but this service you are offering to your customers is more than just a print portal,” says Dave Minnick, Web2Print solutions director, EFI. He recommends that printers who adopt or change W2P systems develop a plan for what they want out of their new solution as well as a strategy for how to attain it. Notable W2P advancements include customized retail storefronts with greater functionality and sophisticated production tools. This article looks at how customer demand drives progress in both categories. We also examine how these developments address the concerns of printers considering adoption or expansion of W2P. Customization, integration functionally, mobility, and administrative controls are essential aspects to W2P, often available within storefronts. Many view retail storefronts as an integral part of a larger W2P system, offering everything from sophisticated SEO, integrated shipping and payment, proofing, and order approval. “The result is not simply a W2P storefront but a complete, streamlined workflow capability from customer to press. Ease of use, increased productivity, fewer errors, more sales, and higher margins are the result,” says Steve Ciesemier, account manager, Aleyant Systems, LLC. Clients want more than Web-based order submission. Print providers expect storefronts to be fully capable of ecommerce for business to business (B2B) as well as business to customer (B2C) storefronts. There’s too much at stake for them to be anything but robust. In addition to public ecommerce sites, many W2P users maintain private ordering for customers. This helps overcome print providers’ concern that they will lose their legacy customers if they try to move them to online ordering. Storefront design is important, but W2P users also expect a higher level of functionality. 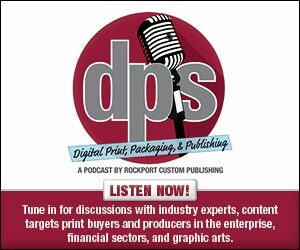 “B2B customer portal options can be custom configured to fit your customer’s requirements such as payment and shipping options, and access control,” notes Gil Newsom, development manager, Rocketprint Software. Other storefront functions include built-in shipping and support for multiple currencies, languages, and tax rates. However, these are just a few of the options. “W2P doesn’t accurately reflect the breadth of products and services becoming available to be sold online,” says John Arnsdorf, product marketing manager, XMPie, A Xerox Company. Customers can sell print, electronic documents, promotional products, and packaging. “It’s even possible to sell email blasts and complete cross-media campaigns right from a W2P portal. Because of this, I believe there is going to be a shift in how service providers market themselves, engage their customers, and position their products and services,” he adds. Mobile demands also affect the push for more functional storefronts. Job submission should be as simple for the end user as any other kind of Web purchase, says Chris Camp, managing director, ePrint Direct Ltd.
Management tools behind W2P are also important. Administrative functions provide complete control over online storefronts. “Real-time dashboards and reports help you make quick day-to-day decisions,” says Bordia. Storefront solutions are not one size fits all. “On one end of the spectrum, a small managed entry-level solution might suit a smaller printer and on the other end, a huge print management company might opt for Web services to create their own bespoke W2P solution,” says Emma Mortiboy, marketing manager, Vpress Ltd. Basic job submission functions aren’t often enough for most modern print providers. Integration with other systems, including MIS and invoicing are essential. Elisha Kasinskas, marketing director, Rochester Software Associates (RSA), suggests that these integration functions allow different printing capabilities by site in a multi-site operation, each with a unique work queue; multiple pricing capabilities; finished goods inventory tracking and reporting; and invoicing, payment, and automated charge back and accounting. Many vendors look to integrate with other systems, including MIS, data, mailing, and inventory, says Slava Apel, CEO, Amazing Print. Integrated production tools for preflight, ganging, batching, imposition, and the integration of offline ordering help move print providers closer to a zero-touch system. This integration is essential to providing greater levels of automation—the two go hand in hand. “Because all storefronts are fully integrated into the MIS, there is no re-keying of data required. Orders flow straight to the shop floor, turning online orders into electronic barcoded job tickets that flow directly to press and through production, finishing, and shipping without the need for manual re-keying,” says Tony Tarpey, VP of marketing, SmartSoft. It’s all about a seamless workflow. “Integration eliminates repetitive tasks and reduces manual touch points while maximizing productivity and profitability. Real-time status updates are bidirectional, which allows for immediate communication to both operators and customers alike,” says EFI’s Minnick. Wilson Zehr, CEO, Cendix, recommends that prospective W2P buyers ensure there is an integrated preview to reduce errors. “Re-work is the single greatest threat to an efficient manufacturing process,” he observes. W2P vendors expect the demand for integration to only increase. Vpress Ltd’s Mortiboy predicts that the ability to plug into or integrate with MIS software will become more important across the board. “I think integrated workflows and software will be imperative. The ability to have one solution that acts as a front end for your clients and also as a dashboard for internal processes will be what print providers aspire towards,” says Mortiboy. Whether modular or end to end, most W2P vendors believe that print providers need to shift to automated workflow to remain competitive. “Increasingly, automation and W2P are going to be the price of admission versus a nice to have,” predicts Vitaly M. Golomb, founder/CEO, Keen Systems. Mobile access to manage both the workflow and storefront has become a critical feature, partly due to what’s described as “the shift in work environments for organizations,” by Frank Defino Jr., VP/managing director, Tukaiz LLC. Though offered by most W2P providers, many vendors are still fine tuning this capability. Several methods are utilized to improve the printer’s experience, including customized dashboards, mobile browser recognition coupled with responsive Web pages, and in some cases, applications for mobile devices. Whatever the approach, the concept is the same. It’s not enough for W2P clients to be able to bring up a browser on their mobile device, it has to be optimized for their workflow functions. The effect of implementing or updating W2P can be profound. “Whilst traditional print continues to play its role within organizations, print managers have exciting opportunities to expand the horizons of conventional printing, encompassing customer expectations and the role that mobile devices play in daily life,” observes ePrint Direct Ltd.’s Camp. That doesn’t mean that all print providers are ready. Some don’t pursue W2P simply because they’re focused on other things. “Many printers are perpetually busy and working in their businesses versus on their businesses,” observes Golomb. Others are put off by the time they have to invest into a W2P system, suggests Refael Royz, co-founder/CEO, B2CPrint, Inc. Many vendors emphasize that the up-front time, money, and effort will ultimately pay off. “Investing in various types of software as they continue to evolve can be tricky, thus it’s vital to make an appropriate selection of the system they invest in,” observes Digesh Thakore, business manager, YEMO Connect & Interact B.V.
Options have emerged to address the upfront financial hesitation. For example, software as a service solutions often work on a pay-as-you go basis. Cloud-based systems are increasingly more common in W2P. “Costs come down as cloud computing expands,” observes David J. Rudolph, founder, Pixta, Inc.
Aleyant Systems’ Ciesemier says some companies are prevented from adopting W2P by inertia, skepticism, or perhaps a bad prior experience. However, he believes W2P solutions are critical for a printer’s economic survival. “Not every bank adopted ATMs when they came out, but eventually customers expected them. W2P is having a similar effect on the print industry and its customers,” he notes. Bob Raus, North American category manager for HP SmartStream and Partner Programs, Hewlett-Packard (HP), agrees, “if a print provider does not have a Web presence and a way for customers to order jobs online, they will not be in business much longer.” He adds that a range of W2P solutions are in the market at all price levels and capabilities. “This includes homegrown solutions too,” he adds. Homegrown solutions may come as a relief to prospective W2P users. Most W2P vendors recognize, and even embrace, the need for a customized solution. “You shouldn’t have to make your essential business processes work around the way that the software works. The software needs to support the way you do business. If it doesn’t, or if you have special market requirements, then you need to be able to modify it quickly/easily without breaking the bank or waiting for the next maintenance release,” points out Cendix’s Zehr. Leslie Wengenroth, director of marketing and business development, Pageflex, acknowledges that printers may be overwhelmed by the many different solutions available. However, she believes having a comprehensive business and marketing plan will help enterprises select and implement a system that works for them. Apart from adopting W2P, getting used to the new system is another challenge for employees. Site promotion and marketing are two significant post-implementation concerns, notes John Weissberg, president, Print Science. XMPie’s Arnsdorf notices that some print providers with financial constraints try to market the idea of W2P before they’ve actually adopted it. “It is not uncommon for a service provider to want to sell the idea of W2P to their customers first before committing to purchasing a solution. However, this strategy is problematic because it is difficult to sell what you don’t have or aren’t familiar with,” explains Arnsdorf. EFI’s Minnick says print providers sometimes fail to understand that adopting a W2P solution is not merely an IT matter or a prepress endeavor. “It is a change in how you do business,” he clarifies. Being flexible isn’t enough. He says that the transition is successful if the enterprise’s decision makers work out a plan for the kind of W2P solution they want and determine how best to implement it to their advantage. Vendors are passionate that print providers investing in W2P, or upgrading to a more fulfilling solution, will reap the benefits. “We believe strongly that no other investment in hardware or human resources can match the ROI from your investment in the right ecommerce platform,” says PageDNA’s Enstad, describing online ordering systems as the “new battlefield” of B2B and B2C sales.